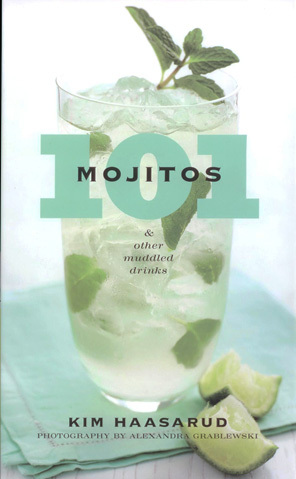 In an 8- to 10-ounce glass, combine 20 rinsed fresh mint leaves (each about 1½ in. long) and 2 teaspoons superfine sugar. With a wooden spoon, pound mint leaves with sugar to coarsely crush. Add 4 to 5 tablespoons light rum, 3 tablespoons fresh lime juice; mix well. Fill glass with ice cubes and 4 to 6 tablespoons chilled soda water. LOVE mojitos!! I am saving this recipe for next summer.